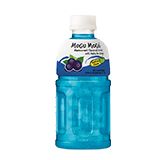 Let's take a look behind the bottle of Mogu Mogu, our high capacity factory ready to serve you high quality Mogu Mogu with large cubes of Nata De Coco. We place great importance on the taste of Mogu Mogu in every bottle to ensure that you will enjoy drinking and chewing it. Emphasis is made by top management to achieve high quality control, starting from sourcing to procurement, and throughout the entire production process to meet set standards. The factory utilizes state of the art machinery that meets international standards of manufacturing. We are an environmentally friendly company that places importance on the wellbeing of our employees. In addition to quality control, our well trained human resource have also helped us obtain the following certification ISO 9001:2000, GMP Codex , HACCP, HALAL, KOSHER and Food and Drug Administration Thailand. These certifications indicate that we are committed to improving our products. Copyright © 2018 ilovemogugu.com. All rights reserved.